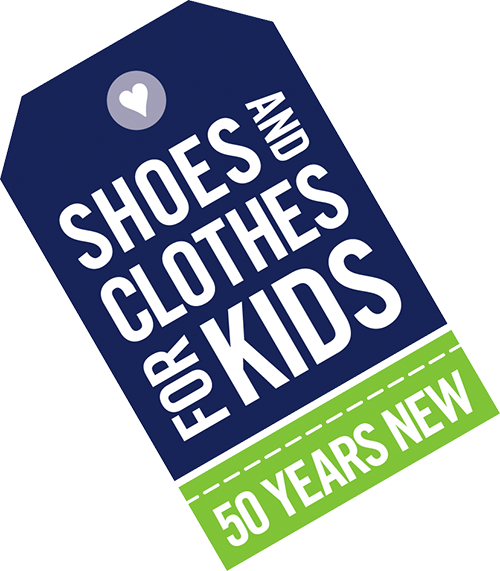 Shoes and Clothes for Kids (SC4K) is the only non-profit organization in Greater Cleveland providing new shoes, school uniforms, clothes and school supplies throughout the year at no charge to thousands of children in need. SC4K has positively impacted the lives of area children by giving them the pride and confidence that comes from having new shoes, school uniforms, clothes and school supplies. Through our programs we help improve school attendance, in some cases up to 24%. As a non-profit agency that charges no fees to its recipients or distribution partners, all our revenue is generated through fundraising. Financial and in-kind support helps Shoes and Clothes for Kids positively impact the lives of Greater Cleveland area school children by giving them the self-esteem and confidence that comes from having brand new shoes and clothes and essential school supplies. For the shoes and clothes program, SC4K partners with 24 social service agency sites located strategically throughout Greater Cleveland that determine a family's eligibility for the SC4K program. distribution partners pick up boxes of clothing and Payless gift cards at the SC4K warehouse and distribute our products directly to families in need. Teachers from qualifying schools interested in school supplies can call (216) 361-0840 to schedule an appointment to shop at our CKIN Resource Center on Perkins Ave. Learn more about eligibility, shopping procedures and resources available. SC4K is able to operate efficiently with a small professional staff as a result of strategic partnerships and collaborations with volunteer groups and community minded individuals. As a non-profit organization that charges no fees to our recipients or distribution partners, SC4K relies heavily on the financial support of a wide variety of donors and volunteers, including individuals, foundations, corporations and organizations.